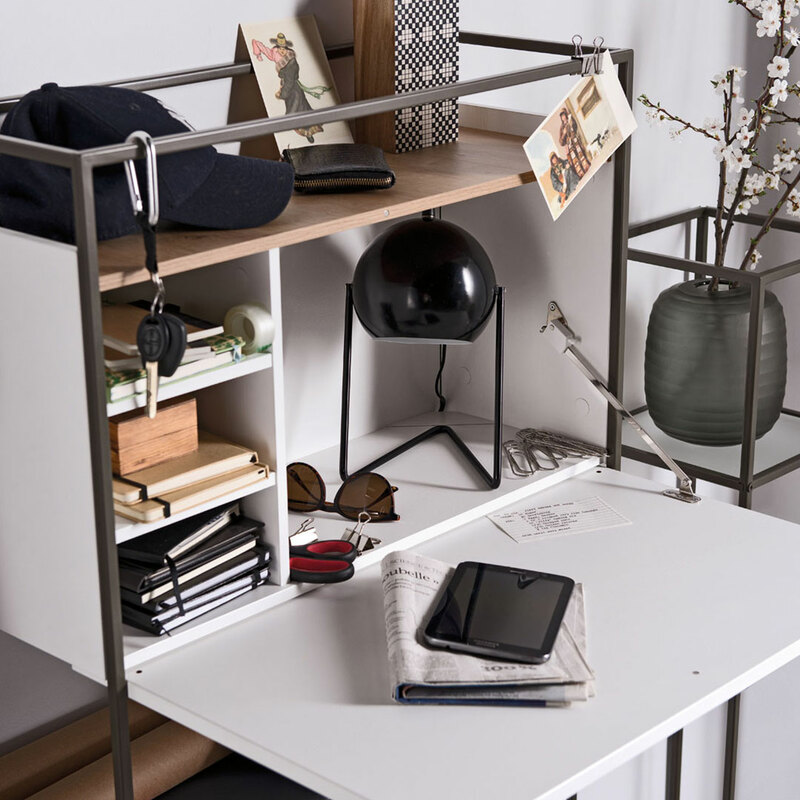 The stunning Muto Secretaire Desk by Vox combines cutting-edge design with space-saving functionality. 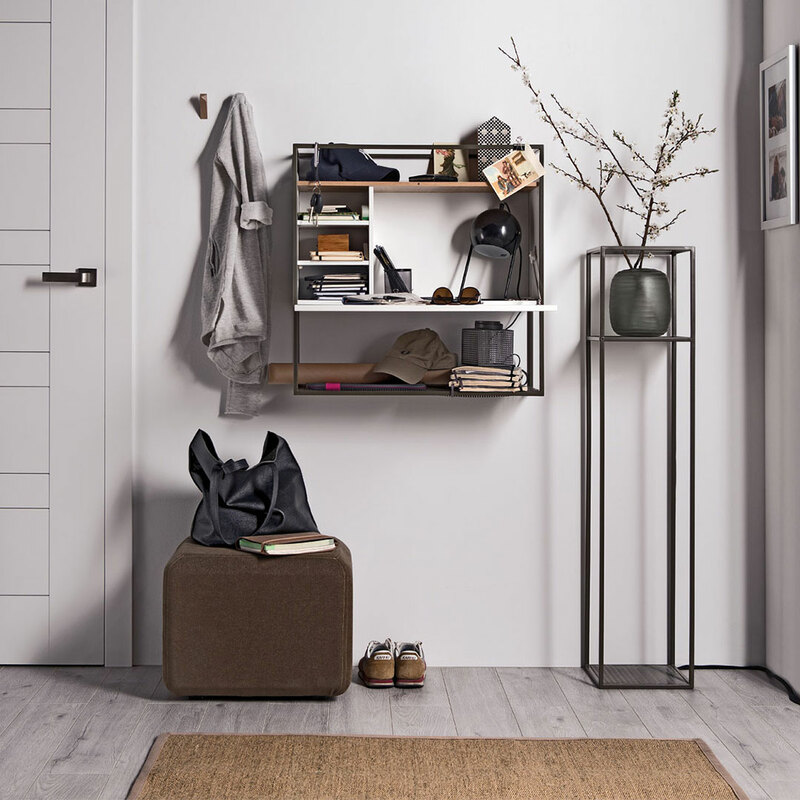 The Muto range by leading European furniture brand Vox is perfect for small spaces where clever design is indispensable. The Muto Secretaire Desk is mounted easily on a wall, creating the thoroughly modern perception of a floating piece. 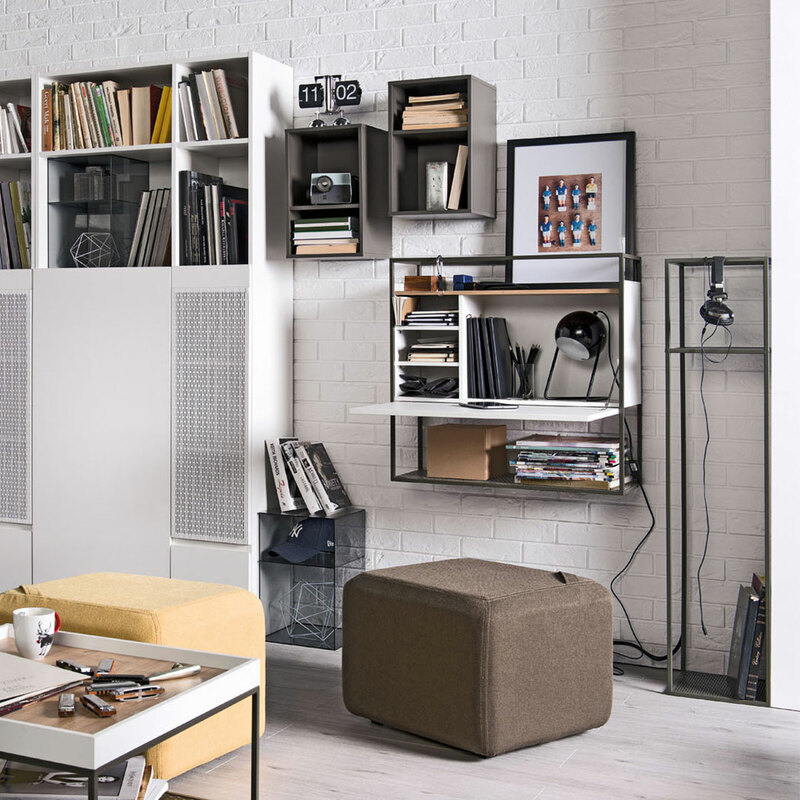 Its metal frame provides two open shelves for books or displaying artwork and keepsakes. 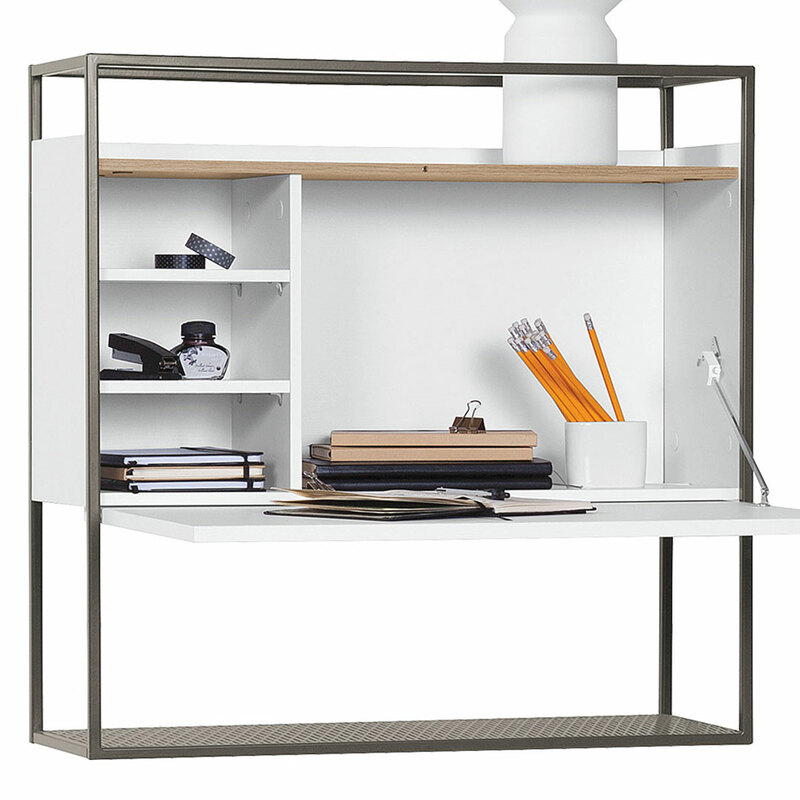 The white desk panel flips open when required for study, writing or drawing and closes neatly and securely to conceal additional shelving inside.